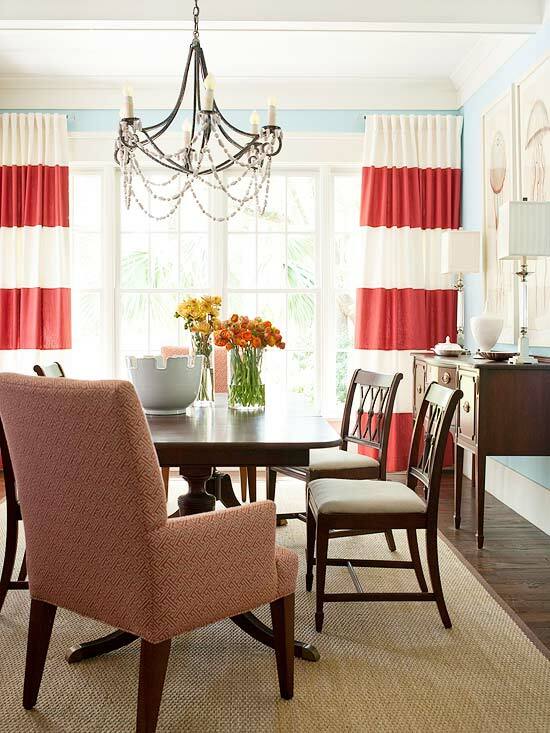 Over the past few years, we’ve seen a profusion of design trends invade our homes like swarms of cicadas. Several of them have proven to be keepers while others quickly wore out their welcome. Take a look back at some outdated and on-their-way-out trends, and find out how to keep things fresh. Mosaik Homes offers you Decor Trends Then and Now to help you evolve with today’s hottest interior looks. Then: Everyone loves brass, especially pieces that have some wear to them. However, too much brass can feel contrived and even cheap without the proper context. Not only can it look less expensive, it doesn’t provide the visual interest and sophisticated palette that mixing metals does. Now: So what should you replace it with? Use a new metal to take its place. Say hello to bronze, the latest interior design trend in metal. This finish is supposed to be the new It metal of 2018. It plays well with other finishes and colours and is a little bit more on the neutral side. If you want to keep a few brass pieces, mixing a brass faucet can look chic when paired with oil-rubbed bronze knobs and pulls or vice versa. Make sure the metallics have a similar finish to keep a consistent thread. 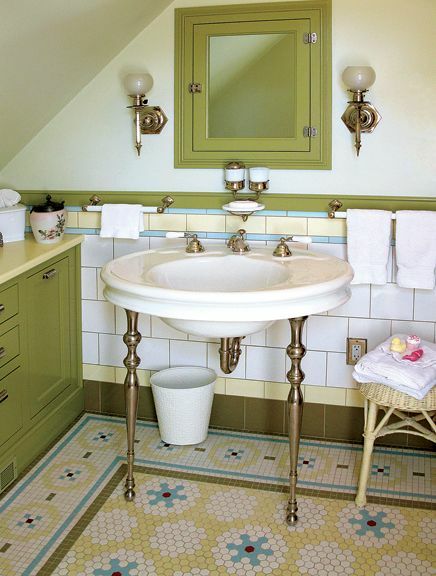 Then: Patterned tile was a huge hit in the 1970’s, paired with gold and lime greens. Intricate tile is often too busy, making space appear smaller. Not to mention, the colour combinations and patterns of mosaic tiles easily give away a design’s era, making a space look dated. Now: Today, patterned tile is making a comeback on accent walls or in a small room such as a bathroom. 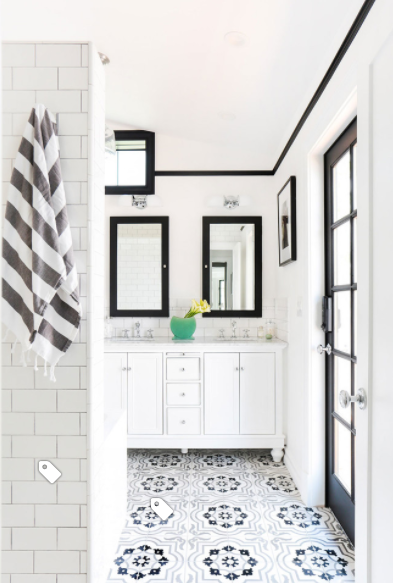 When decorating with patterns, it’s smart to keep everything else simple — whitewashed walls and a black and white colour scheme make this bathroom ever so chic and contemporary. 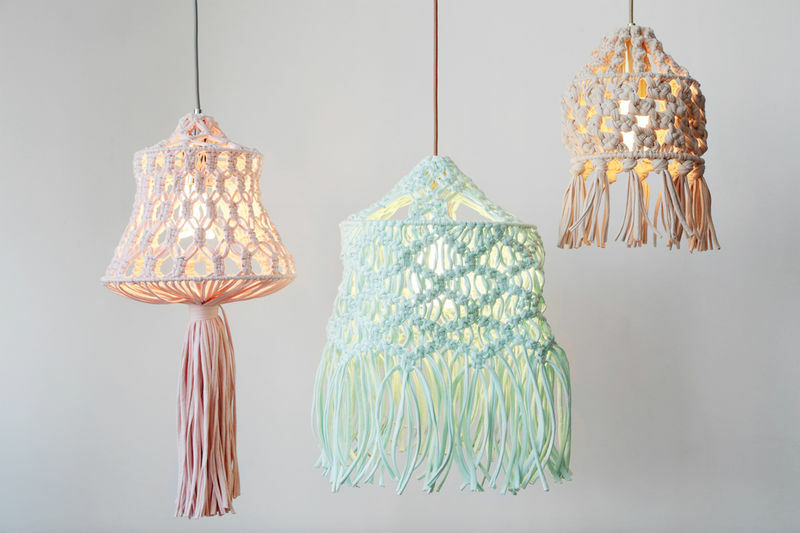 Then: Boho-chic has been an ongoing trend, but it’s time to retire macramé. Now more than ever we are seeing macrame applied to any and every decor pieces, from planters to wall art, to table linens. There are so many other ways to add bohemian flair to your space instead of covering your interiors with cumbersome knit hangings. Now: Switch out your bohemian inspired planter hangers for some glossy or glass vases, and gorgeous pottery, which will continue to be a popular trend, along with anything sculptural or handmade. People are always looking for unique home accents to make their space feel personalized to them. 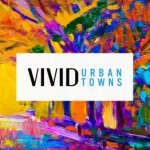 A painted or sketched artwork can make a huge impact in helping your space feel more lived in and inspired, and will always look more chic than a thickly woven natural fiber piece. Then: The trend of reclaimed wood has been over-used, and co-opted by many furniture makers that don’t do a good job of capturing what was good about the trend in the first place. Real old wood with character and a naturally distressed finish can look beautiful and understated. A space over-done with reclaimed wood can often make chunky pieces the main visual attraction in a room, outshining other decor that deserve the spotlight. Now: If you want something that feels old and used, purchase an antique or a piece with a used-feeling finish. 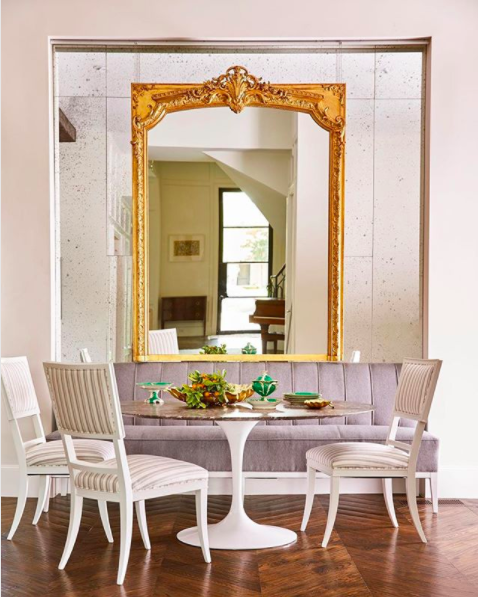 If you’re fortunate enough to have had some great quality classic pieces handed down to you, incorporate them into your home decor along with contemporary and modern pieces. You can freshen a traditional or dark solid wood bed with pretty linens, throw rugs and a modern mirror above the bed and select updated colors for your room. Or turn a beautiful wood cabinet into a bar or servery in your dining room. Stay on the cutting-edge of home design by saying good-bye or upgrading your outdated designs with these very ‘now’ trends for the home.